Why do you care if Avengers, or Dark Knight Rises, or Prometheus in Imax 3D makes a boat-load of Money? As I’m wont to do, I tend to keep abreast of the entertainment news, specifically film. One thing I’ve been hearing quite a lot in the wake of the Avengers film is talk of it making over a billion dollars. And I listen to the fervor and sense of ownership all these writers and pod-casters are going on with about this financial mark. And I have to ask ‘Why’? I mean I enjoy the Avengers movie, as much as anyone, arguably more than most people will in 6 months. By that I mean it’s an interesting hive mind approach that occurs in popular films as well as other things, where people’s steadfast belief in whether a movie is good and bad fluctuates with the slightest derision or the popular opinion of the day. 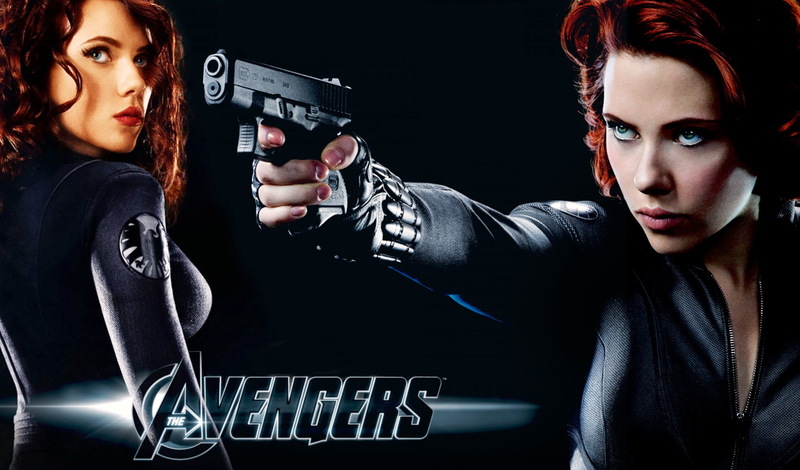 AVENGERS was and is a great movie full stop. Pacing wise, action, wise, story wise. But now barely two weeks into its release you hear a few people say, “oh well the first half was slow”, and people I heard broadcast not even a week ago how great the film was, begin to backpedal and parrot “Oh well the beginning was a little slow”. We live in a monopolized society where the individual is so scared to have an unpopular opinion, to the point that a lot of their opinions generally are not worth the breath they take to say it, or the paper they take to write it. They have the spineless nature of slugs. Same change of opinion (but to both a lesser and greater degree) happened to the Bryan Singer film SUPERMAN RETURNS. First week, people came out raving and loving that film. The Airplane scene, the bullet to the eye. It was a solid very good movie. But less than a week later, people began picking up the mantra of ‘why’s the kid there’ and ‘lex again’ and ‘Lois’. And you could see the ship of public opinion so to speak, turn. And people who initially were overjoyed about the film, started backpedaling, “Well, yeah I didn’t really say it was good.”. Until now a few years later people routinely call that movie awful and one of the worst. It’s something I’ve noticed, Something that is not just American, because I’ve listened to enough British pod-casters do the same thing. So many are seemingly so afraid to hold an opinion derided or frowned upon or be seen cherishing something not embraced by their ‘friends’ or even their ‘enemies’. It’s a lack of conviction, to anything you believe. Obvious symptoms of a propagandized population, so used to embracing any lie, that will keep it from having to alone, look at uncomfortable truths. So yeah, when I say I enjoy the AVENGERS more than most people will in 6 months, that’s not me having you on, it’s just a fact. I’m not swayed by the mob. 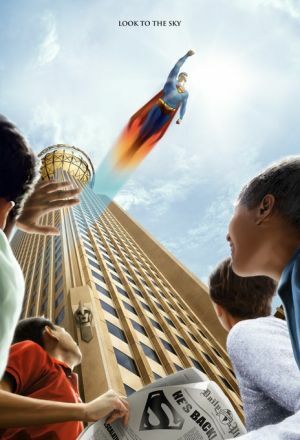 I thought SUPERMAN RETURNS was a fun, solid B movie when I first saw it, and I still think so. 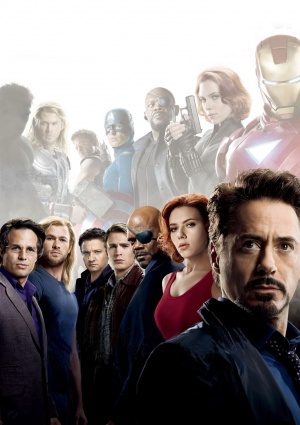 I think AVENGERS is a brilliant, surprisingly so, Grade A movie today, and will think the same thing 5 years from today, when most of you have been pushed far afield of any opinion you may have had on the film. I mean there’s nothing wrong with changing your opinion, if it’s your change, your growth, your adaptation. But that’s not what’s happening. What’s happening is a propagandized population taught by the media to have no constants, no ideals, no values, that will not be torn down; have learned to make their opinions on shifting sands, always ready to be remade at the slightest rise of the tide. Which brings us back to the original concern. Why are you celebrating or in any manner cheering the AVENGERS making over a Billion dollars? Beyond just financial interest, I could care less if the movie breaks even, does 400 million, or does a billion. Honestly I don’t really have a stake in it if it loses money. Of course liking the film, it’s nice if it doesn’t bomb, for the simple fact it would be nice to see more films by a competent director like Joss Whedon. But it’s not a passion, I don’t have a dog in this fight. If I’m the studio, or someone with a percentage share in the film, hell yeah I’m celebrating every dime it makes. Or in the days when people from your neighborhood actually owned movie theaters and that blockbuster money actually cycled locally, rather than just getting funneled out of the community to make fat cats fatter, I might be happy. But none of that is the case. I don’t personally know a single person who is in any way going to profit, by making a monopolized studio and theatrical system a billion dollars richer. All this did is take a billion dollars from a lot of little pockets, and put it into a very few big pockets. Now I’m not making a deal on that. I went to see the movie like everyone else, but you can be damn sure I’m not celebrating this state of affairs either. AVENGERS makes a billion dollars, okay. I accept it as a fact. But honestly, until such time as those funds and profits get distributed to real theaters and real people (a billion dollars, hell you can afford to hire real projectionists, pay the ushers, and ticket takers a real wage, get real popcorn and healthy drinks, etc, etc…but you’ll drop dead waiting for that money to trickle down. In fact all the studios can talk about is reducing costs at the local level and maximizing profits by digitizing everything), I have no interest in celebrating billionaires becoming bigger billionaires. Beyond a movie breaking even to keep a good director or actor I like viable, that’s where my interest in what a film makes or does not make… ends. Some people were complaining because TRANSFORMERS:DARK OF THE MOON was a box office success. Who cares? I personally don’t get the Michael Bay hate, but as we’ve established I don’t follow the crowd. Michael Bay is a talented director who puts bodies in seats. Some films of his I like, some I don’t. I loved his first film BAD BOYS, and loved his last film DARK OF THE MOON (which the end of the AVENGERS was more than a little like) and in-between like any other director he has been hit and miss. But even the movies I don’t like I don’t wish them ill at the box-office. What sense does that make? If you don’t like a movie, does that mean everyone has to wish it ill and hate it as well? Does that mean you have to begrudge it its success? I personally hated Nolan’s first Batman movie, and thought his DARK KNIGHT while better, was still flawed and over-hyped. So not really a Nolan fan, but I don’t begrudge his films their success. As stated, what Billionaires do or don’t make.. not concerned. When some of that tremendous profit begins cycling back into the communities, well then that will be something to feel pride and ownership of. 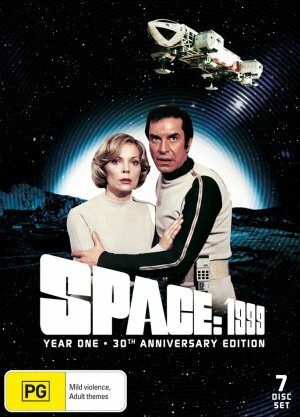 DVD Review: SPACE 1999 BLU-RAY Episode#1 BREAKAWAY! Plus Viewing Order List!! So I just received today the SPACE 1999 Blu-Ray Season One Set! Does it live up to expectations? Few episodes in and I have to say… HOLY HECK does it ever! I’m older than most of you reading this, having been frozen in a block of ice during World War II (Okay , okay I’m joking! It was actually World War I) 🙂 , so it tends to give me a different perspective on culture and entertainment. And I guess a different appreciation for the wonders of yesteryear. Whereas kids raised today on the latest Battlestar Galactica or Big Screen Blockbuster, may see in this outdated show just groan inducing cheese, I see something that does not dim or fade… I see quality. And it is not for nostalgic reasons that I praise some old shows; old shows can be awful just like new shows. I’m always distrusting of people who put things on a pedestal for nostalgia’s sake, just because they grew up with something. Seems like a lazy person’s way of rating things. Crap is crap. I grew up with ‘Different Strokes’ and ‘Dukes of Hazard’ for heaven’s sake, and you would have to pay me (quite a lot) to sit through those shows again. So yeah anyone who hypes a show based on no more than nostalgia, is suspect at best, and moronic at worst. Either a show is good or it isn’t. No, if I gravitate to something from yesteryear or from today I do so because there’s evident in it a craft, a passion, that transcends the budgetary or technological constraints of the time. I once watched a ragtag theater group on the edge of the world put on a production of MAN OF LA MANCHA, that lacking even the most modest sets, was performed with such verve, and passion that decades later… it rallies me still. 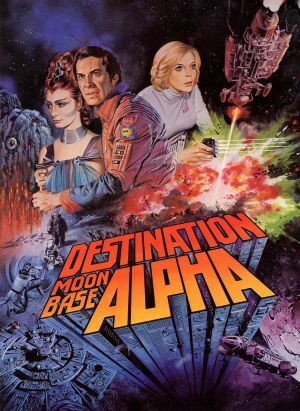 And watching SPACE 1999, a show that even its title proclaims as a short-sighted anachronism, I’m drawn in and impressed by it for similar reasons as that play of long ago. Not judging it because of what I remember of it as a kid (I hated it as a kid) but judging it based on my appreciation of it today. Here is this multi-national cast and crew, and this British studio, developing in that shadow land between the demise of the Star Trek television series and the rise of the Star Wars film, this very odd space show. As a kid I wasn’t a fan of the show. I caught it sporadically, and I found it (though it’s not a word I would have used then) plodding. It was stilted, overly stoic, and filled with not particularly happy or young people… endlessly scowling at the camera and talking, talking talking. As a kid I would watch maybe ten, fifteen minutes, then start looking through the five (and on a good day six) channels we had back then for a good show. Maybe a rerun of Star Trek. Now that was a show to capture a kid’s imagination! 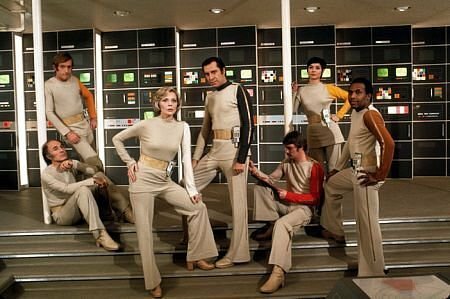 It was colorful, action-packed, filled with attractive people (did I mention the mini-skirts) who seemed to be having fun in between saving worlds, By comparison SPACE 1999, was a drab, monochromatic environment, filled with endlessly scowling old people. I could get that from my teachers, so I didn’t need that in my tv show. So as a kid I might have seen 3 or 4 episodes in bits and pieces, none of them leaving a positive impression on me. But as an adult the price was right, and my curiosity was piqued so I now have the Blu-ray in my SEIKI Multi-region player, and as stated… it looks better than it ever did when watching it as a kid. The Blue-ray remastering is fantastic, imbuing color everywhere in a show that I recall being almost achingly drab and gray and lifeless. Putting in the first disk, and watching the first episode, BREAKAWAY and I’m stunned… it’s gorgeous, simply sumptuous. It’s visually very reminiscent of Kubrick’s 2001. The masterful use of models, the 1960s used to imagine and dress the coming millennium. 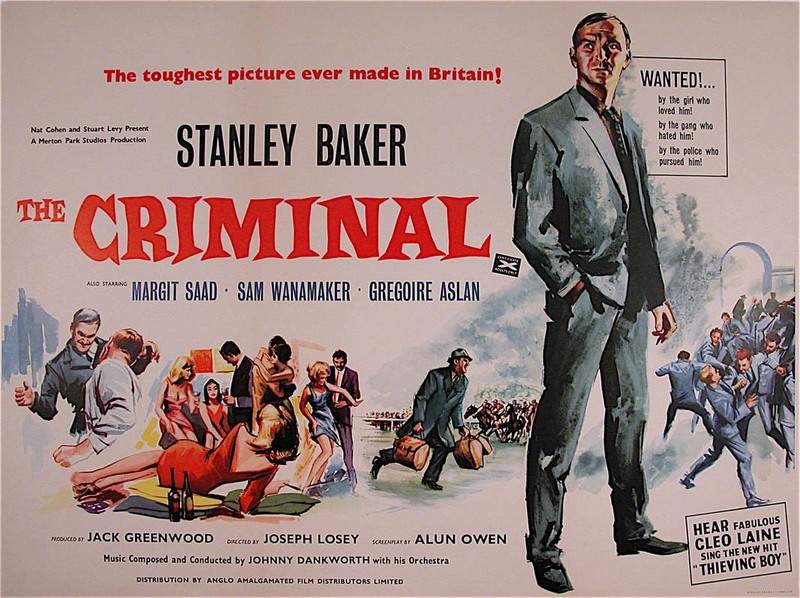 Even though this is a show that ran from 1975 to 1977, it’s the suave, controlled ‘James Bond’ 60s, rather than the psychedelic 70s that influence the films costumes and sets. There’s a sleek open modernity and aesthetic that is style rather than fad, and this extends particularly to the sets and ships with this wonderful analog, tactile sense to the walls and architecture and buttons and displays. And boy, I love seeing those oscilloscopes/frequency generators. As a guy who has had to use more than a few of those, now rarely seen, tech tools… it’s both charming and effective. It’s a wonderful clash of concepts, a 1999 wherein analog did not lose the war to digital, and Pan-Am never went out of business, and JFK’s head never went back and to the left. And the story… I had never seen the first episode, the story (which I’ll leave you to discover) is some crazy audacious manna! In short, I found it a lot of fun. Though it plays, fast and loose with physics, I have no prob with that. I go into my sci-fi not expecting it to be sci-fact. And the stilted, stoic, even dire performances that bored me to tears as a kid, here in this episode work brilliantly. It’s so stylized, their acting, ranging from subtle to understated to unnatural(Barbara Bain offers an unblinking, very controlled, almost mechanized delivery, yet is still very feminine. It’s very unusual what she does, but unusual in this case works). An addictive episode. 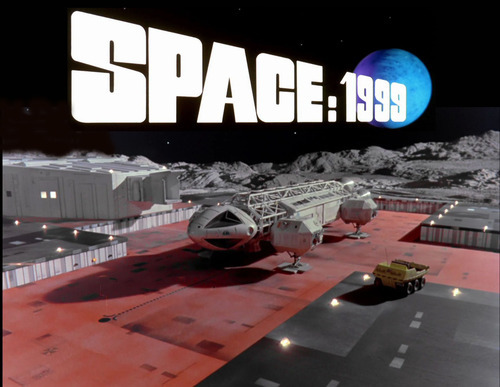 If you’re a fan of films such as Kubrick’s 2001 A SPACE ODYSSEY or Mario Bava’s DIABOLIQUE, those primary color drenched odes to style, then you’ll love this first episode of SPACE 1999. I was there in 1999, and this is the future we didn’t get, but should have. Perhaps it’s not too late! Someone go blow-up the moon!!! Oh and one more thing. The order these episodes are on the Blu-ray set (and DVD) is production order, which is completely how they came out. However, it doesn’t work. I’ll say again… it doesn’t work. I hit episode two, and I was like…. “what the eff, did I miss something?!”. Because even though these shows are supposed to be more or less standalone, some scripts/stories juxtapose badly with other episodes, in the order they are on the disk. I did a bit of searching, and thankfully found someone who noticed the same type of inconsistency in the production order of the shows. 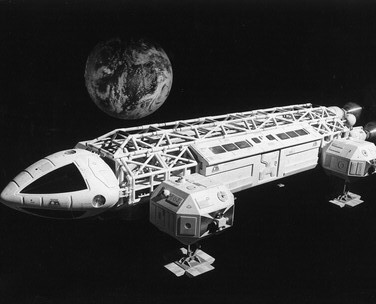 Namely Andrew Kearley who has created a great web site devoted to SPACE 1999. 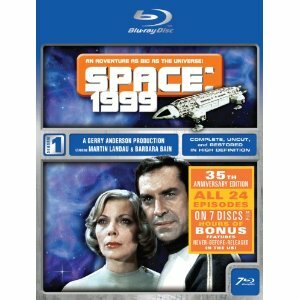 One of the best things on the site is that he has created a viewing order for the SPACE 1999 shows. His website gives a breakdown of why he places the shows where he does, and you can read it here. After viewing the entire season one, I see both the strengths and weaknesses of his list. In my opinion, after watching the whole season, it’s best to stick to production viewing order except where necessary. In a lot of cases Kearley’s list moves episodes out of production order, when in my opinion it doesn’t improve or substantially affect the viewing experience. So I’ve created a list that looks to stay true to the production order of the series (the order it was shot in and how it is laid out in DVD), except where such alterations in my opinion substantially strengthen the viewing experience. The first five follow the Kearley list. Without doubt that gives a great opening to the series. Six and Seven is where I break with the Kearley List. This forms a loose 2 parter. With the possession of the Doctor in RING perhaps following her subconsciously into MATTER and perhaps helps address some of the inexplicable events that happen there. These eight episodes GUARDIAN to THE END OF ETERNITY (with the exception of moving one episode earlier in the season for story development reasons) follow production order, as I saw no substantial reason to move them around. And having watched them both ways they work best this way, adhering closer to production order. I swap the order of THE LAST ENEMY and WAR GAMES, because in WAR GAMES it kinda heals the damage done to them in THE LAST ENEMY, and helps them get out of the habit of… preemptive strike and finding enemies wherever they look. 18. Another Time, Another Place- Agreeing with Kearley’s desire to have this closer to the end of the first season, I thought this was the ideal place for this episode. The largely space based and battle heavy WAR GAMES being a nice lead in for the far more metaphysical ANOTHER TIME, ANOTHER PLACE. And I think after the loss in ANOTHER TIME, the opening of TROUBLED SPIRIT is a great way to cleanse the palette and show a healing moment for the crew of Alpha after several shattering episodes. And the final six episodes follow production order exactly and are a strong powerful wrap up for the first, best, and some would say ONLY true season of SPACE 1999. Well this has been a lot of fun, a little work, putting this HT Space 1999 Recommended Episode Order Viewing List (REVOL) together. Hope it will be of help and use to some of you. Thanks! Anyhow, Go enjoy this BLU-RAY edition of a show about a space-faring multi-cultural unified 1999, that somehow here in 2012 we managed to miss. We took the wrong road, somewhere in our not too distant past, and found ourselves stuck for decades in Orwell’s 1984, rather than in Gerry and Sylvia Anderson’s 1999. Perhaps it’s not too late to turnaround, as a culture, as a nation, as a world, and find that future that we missed… those days of futures past. Till later in the words of the late Don Cornelius… Peace, Love, and Soul!!! 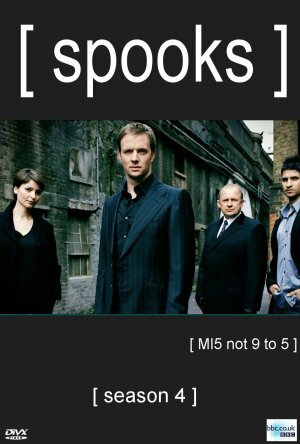 BEST SPY TELEVISION SHOW EVER: SPOOKS! I just got done watching 9 Seasons of SPOOKS. 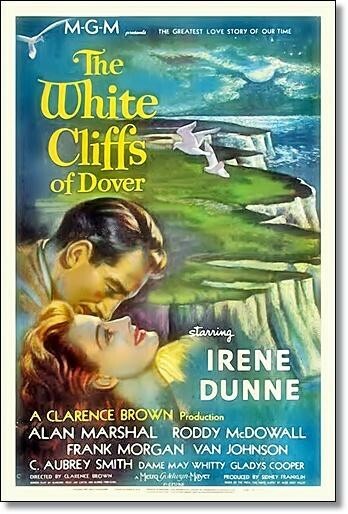 What can I say, except… best cliffhangers ever!! And one of the most uncompromising and emotional shows that I’ve ever seen. And notice I say SPOOKS and not MI-5. For the love of God avoid the edited, censored US version of this phenomenal British show (one reason I refuse to watch anything on BBC America, I’ll just wait for the unedited DVD). Get yourself a multi-region DVD player, buy the original PAL/UK DVDs and see this show as it was intended, in all its uncompromising, and at times anti-US glory. Or else don’t see it at all. Oh and avoid plot synopsis and reviews that give away reveals that are exceptionally important to really being flabbergasted by the series. Like any series that runs this long, not all the shows are going to be home-runs. An occasional show is going to underwhelm, writing is going to falter become a bit too soapish and irritating (I think particularly noticeable in season 3). It’s a show that while no stranger to the cliches of the genre (to include at times a bit too much style over substance, the slow-mo walks and jittery camera work particularly in season 8 calls attention to itself… and not in a good way) manages to always transcend its missteps and crank it up and deliver and make you care. The writers and particularly the actors are to be commended for making you care… oft deeply, for these tales of spooks and spies and private eyes. For those of you who have never seen this series, I envy you the journey. Just start with season 1 of SPOOKS, and keep on going. I have the last season yet to see, but I tend to take a break after every three seasons, mixing up my DVD binges with book binges, so I’ll probably get to season 10 sometime this spring. Plus I’m hearing mixed things about the last season, so I’m in no rush to get to it. The show for a decade has managed to keep reinventing itself every season, in a way I did not think would be possible. But it just goes to the strength of the British talent pool, that every irreplaceable actor… could indeed be replaced. That goes to the truth of the fiction the show crafts. What elevates this show is the courageousness of its scripts, that for the most part resists the simple black and write, good guy, bad guy, lowest common denominator story-lines you would get from a US show. Best spy show ever? I cannot think of one better. America has sold herself to sluts and hors of industry, to Disneys and Time Warners and Sonys. And all around us, liberty is rolling up her blanket and going home. America has been called on account of rain. In England the nation is racked by riots, set-off by the death of Mark Duggan by police. By all reports the assassination of Mark Duggan, activist… who sought a better England. My mind, I don’t know why, ran to the the death of another young man and true, centuries ago… that set off riots that changed the face of the world. A free man of color, a rabble rouser and rogue, and the most beloved man of the colonies. He also died at British hands, by British ‘law’. His name was Crispus Attucks. The more we supposed bastions of democracy rain down hell and fire and tyranny on other countries, the more all that hurt, and hell, and war… though drowned by lies, though concealed by ‘unreality’ tv, though numbed by doctored news…through all this, do our sins abroad find us out here. All those sins, have their hour. And they have their name. And they have their time. And God help us to meet it with some grace. To have the courage to choose. And the wisdom to choose wisely.